Iran, Feb. 8, 2019 - Brave members of “Resistance Units,” a network associated to the Iranian opposition People's Mojahedin Organization of Iran (PMOI/MEK), are advancing their courageous measures against the Iranian regime, keeping the flame of resistance alive in the face of the ruling mullahs and their oppressive apparatus. Members of Resistance Unit 820 in Tehran set fire to a poster of Iranian regime founder Khomeini while also commemorating the PMOI/MEK martyrs of the early 1980s.  In the city of Dorud of Lorestan Province, western Iran, members of Resistance Unit 719 set fire to the entrance of an Revolutionary Guards (IRGC) Basij paramiliary base.